Professor Ssali is a Ugandan medical doctor and researcher in both western and traditional herbal medicines. He is a Fellow of the Royal College of Surgeons (FRCS) in London. After ten years of scientific medical research, Professor Ssali has developed natural nutritional supplements for building the body’s immune system. 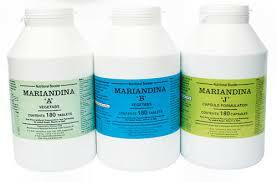 These natural nutritional supplements have been developed under the name Mariandina.